Photo of women detained at Yarl's Wood, an immigration detention facility in England. Courtesy of Steve Bell. Freedom is not for the privileged few. It is a right for all. Another reason we changed our name to Freedom for Immigrants is because a private prison company began using what we believed was a confusingly similar name to our original name, CIVIC. In October 2016, Corrections Corporation of America (CCA), the oldest private prison corporation in the world, changed its name to CORECIVIC. 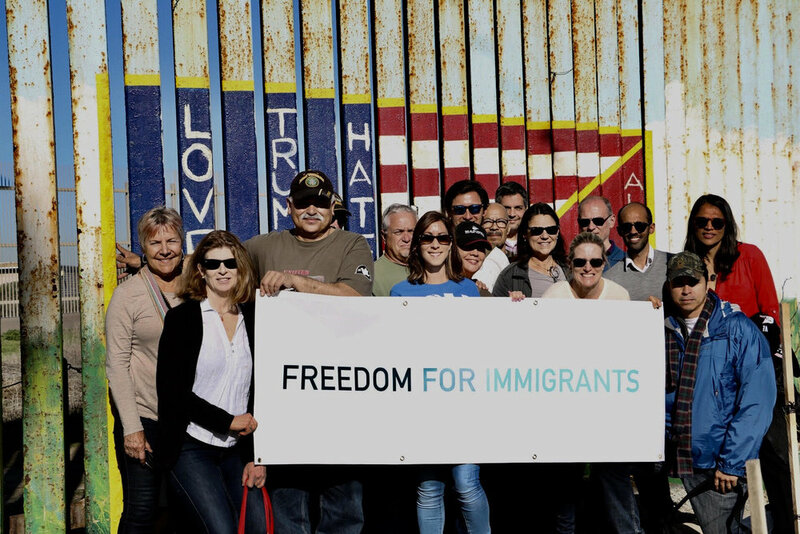 To us, this name change feels like a direct attack on our organization, designed to capitalize on the good will of our name and undermine our successful efforts to limit the growth of private immigration detention facilities. We immediately hired trademark attorneys to fight this violation of our organization’s common-law and other trademark rights in the word mark CIVIC.